Every year thousands of volunteers around the world take part in the humanitarian works in different corners of this planet. There are multitudes of volunteering opportunities and destinations across the world, it is very important for the applicants to spend some time in researching and deciding the project that is best fit for their interest. From African Serengeti to the Asian Himalayan Mountains, there are different places across the world for the philanthropic adventurers to pick their destination of volunteering abroad. Impacts and results of the activities of participants depend on various factors. Destination is one of the pivotal elements of volunteering abroad, your response to the geography and culture of the selected destination plays a vital role to the effectiveness of your volunteer activities. Here are some of the most popular countries for volunteers. Are You Interested to Join a Volunteer Program? Beneath the shadow of Himalayas, boasting the treasure of ancient architectures, Nepal is country known for its ever smiling and hospitable peoples. From majestic Himalayan mountains, including highest peak of the world Mount Everest to the Southern Grasslands, this country is blessed with natural bio diversity. Birthplace of Lord Buddha, where majority of population is Hindu, is also a kaleidoscope of culture and religion. How Nepal Can Be your Best Volunteer Abroad Destination? If you are more into exploring the pristine and undiscovered corner of South East Asia, if you want to behold some traditional and rural life of the people, while living it with them. If you want to get mesmerized with warm smiles and very welcoming attitude of the people, albeit economically they are living in a country that comes under the list of 25 most poor country in the world, Nepal is the place to feel that unparalleled kindness of its people. Due to a decade long civil war followed by multiple political turbulences, Nepal is still ranked in the list of least developed countries which also includes some of the Sub-Saharan and Middle East Asian countries. This country has waited long to see that economic transformation that would allow its people to live a life of meeting the basic standard. Volunteering in Nepal is an opportunity to lend hands of support to these people who deserve to live a modest life they have been dreaming of. Share your teaching skills in the rural schools of Nepal, harness your understandings to foster your teaching and communication abilities while fostering the learning process of the Nepalese students. Volunteer in teaching in schools of Nepal and discover the epitome of your abilities as a human being. 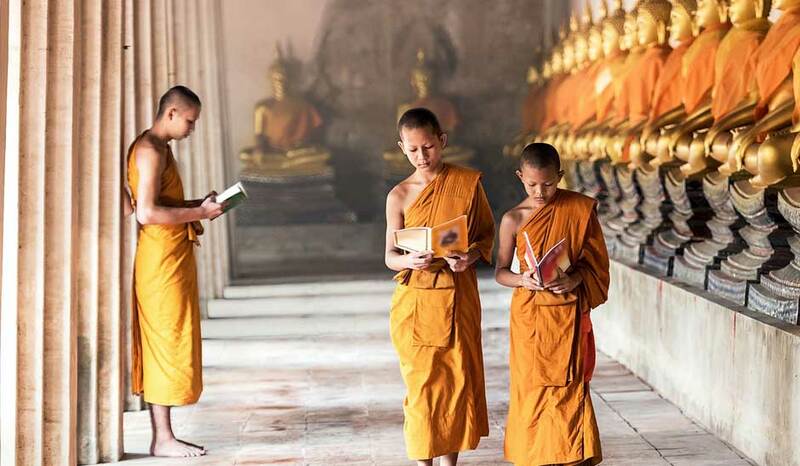 Embark into a world of peace and compassion, experience warm and welcoming attitude of the Buddhist monks, meanwhile share your skills language skill and other academic knowledge to the monk kids. Volunteer in Buddhist Monastery in Nepal and enter a completely pristine world of religious and spiritual value. Designed for the medical professionals and students, medical volunteer project in Nepal is best for all the medicine practitioners, academicians who are looking forward to hone their medical skill and knowledge. This program is all about offering love and care to the kids who have been living homeless and parentless lives due to some unfortunate incidents in their life. At the same time this project is about learning to forget the bitter past and laugh at challenging future ahead. It is a concept for those who are professionals or students in psychological counseling, psychiatry and hypnotherapy. In the project you will assist the counselors in Nepal with their daily services to the clients. Global warming and climate is major concern of this millennium, besides that Sustainable Agriculture is also important for the people of Nepal to increase their production and get the maximum yield with farming. Despite being rich with arable land, the country is still largely dependent on the import of the food and crops. Involvement of international volunteers and contribution of advance techniques and modern knowledge on sustainable farming can help to change that situation. India is a vibrant Asian country, known for its diversity in the religion and culture. Also extending from Himalayas to the coast of Indian Ocean, this country covers the extensive variety in the landscapes. One of the most economically growing countries of this world, India is expecting to have a promising future. Despite this rapid economic growth, major portion of the population is still under poverty line. How India Can Provide You Best Volunteer Abroad Opportunities? India is now in an optimistic stage of anticipated economic growth, there are scores of development projects ready to be propelled. Participation of international volunteers in the various development sectors like education, health and empowerment can bolster this journey of Indian people towards a promising future. Inequality, poverty, population pressure and massive unemployment are some of the major economic challenges of Indian economy, because of which, a huge portion of Indian population is deprived of basic human needs like food, health and education. By joining a volunteer abroad program in India, you can help those hands who are trying to mitigate the problems. India is fighting against the child abuse and child labor, still infamous for highest number of beggars in the street, majority of them being the kids, India has a long history of struggling with this vulnerable condition of its children. Volunteering in orphanages of India is an opportunity to help the activities trying to minify such situation. As English is one of the official languages, its use and importance is predominant in India. Being proficient in English language can strengthen the possibilities of the students in their future academies and professions. As a volunteer for teaching English in India, you will be sharing your English language skills and teach student about the English language and grammar. This volunteer abroad program is designed for the medical professionals and students from around the world to harness and hone their medical skills and knowledge. 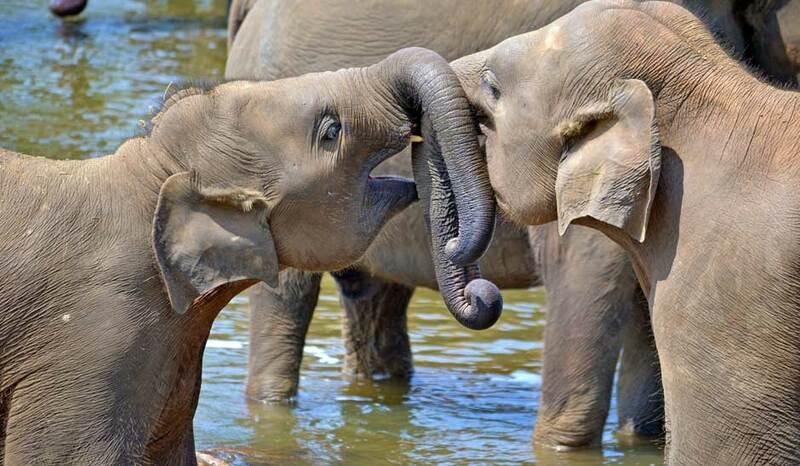 Elephants are adored in India, they are even worshipped as an incarnation of God Ganesha. Working with these mighty giants of Asia is a chance to have a closer glimpse of their lives and volunteer in daily care duties with mahouts. Women of India are still deprived of opportunities, gender violence, domestic violence, dowry and female infanticides are still happening in a large scale in underdeveloped regions of India. In such circumstances, women empowerment is very crucial to uplift the life standard of the women in India. 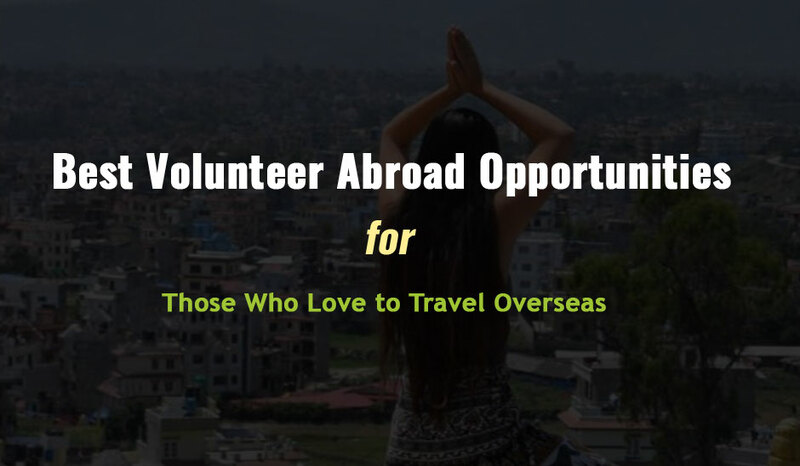 Joining this volunteer abroad opportunity, you can contribute the life skills, professional prowess and knowledge to the women of India to build up that confidence necessary to lead an independent life. This beautiful island at the coast of Indian Ocean is and emerald of South Asia. Ornamented with beautiful beaches and world heritages, this country is an ultimate destination for those who are looking for a meaningful travel moment. 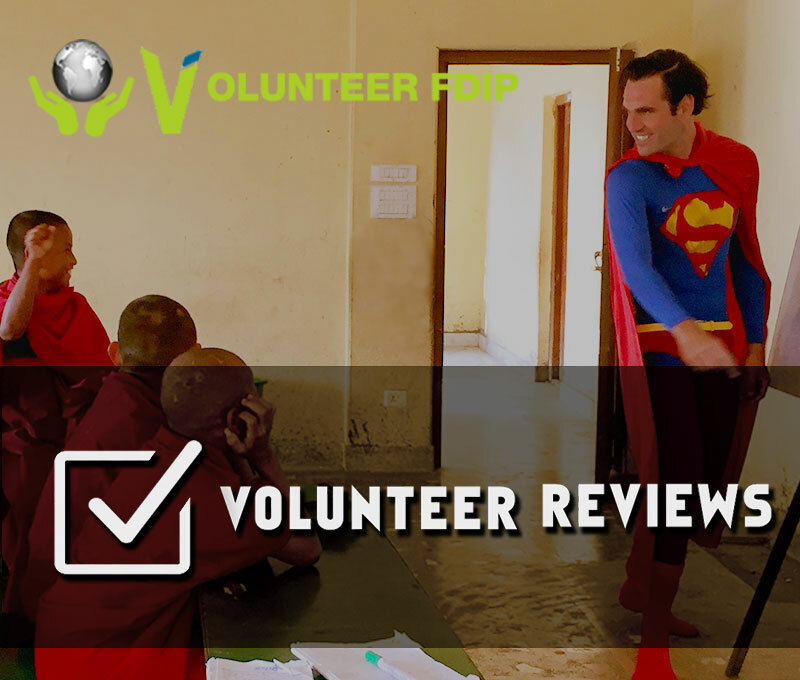 How Sri Lanka Can Offer Best Volunteer Abroad Programs? Pristine land of Sri Lanka is inhabited with people of different culture and religions. From Hindus to Buddhist, the people of Sri Lanka have been living together with harmony and mutual support to each other. Sri Lankans are working hard to get across the economic barrier on their way. Volunteering in Sri Lanka can be an ideal way to address their effort of to attain the happy and prosperous life. Sri Lanka is a country of possibilities, it is one of the economically growing countries of South Asia, and therefore, there are lots of possibilities of the development works. And where there is demand of works, there will be demand of the workers too. Likewise there are multitudes of options for the volunteer workers from around the world to participate in different development projects. Working with disadvantaged and abandoned kids in Sri Lanka is a rewarding opportunity; during your tenure as a volunteer abroad you will participate in various activities to foster the upbringing of these kids. English is extensively used in Sri Lanka, which is also one of the official languages of the country. If you are proficient in this language, you might want to share your English and understanding of English language and grammar to the student of Sri Lankan local schools. Teaching in Buddhist Monasteries of Sri Lanka is an unparalleled opportunity of experience peace and compassion. As an international volunteer of the monasteries you will teach English language and grammar to the kids, meanwhile observing the prayers and attending the meditation with the Buddhist monks. This is a cross culture exchange opportunity of life time. Enhance your research and study on Asian Elephants, behold the bonding between human and these kind beasts, and experience the unforgettable volunteering experience in enchanting locations of Sri Lanka. Shadowing with the local doctors of Sri Lanka is an incredible way of gaining the experience of medical and healthcare services. This project is a global health service opportunity for those who are practicing and studying medicinal science, nursing and public health. 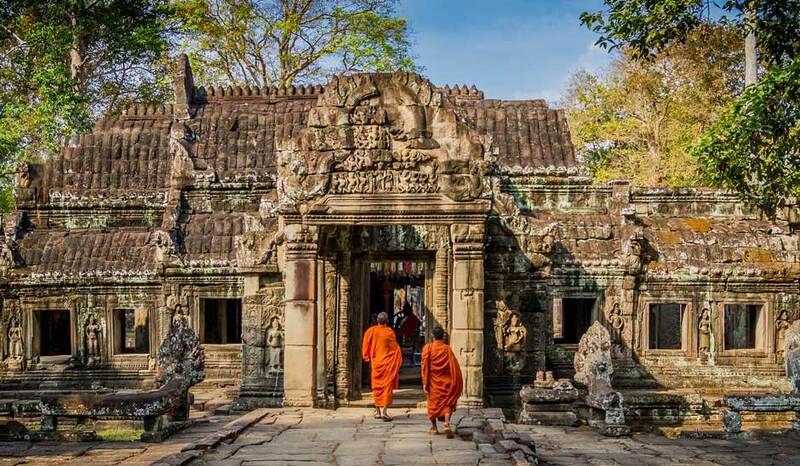 The kingdom of Cambodia, one of 3 nations within Indo China is an ultimate destination for everyone who is looking forward to join volunteering abroad programs in Asia. This mysterious land is comprised of many mystic beauties like, jungle realm of Khmer and many fascinating stone sculpture of various gods. This fertile country and its friendly people are appeared to forget recent dramatic history. Regal splendor and majesty of Cambodia indicates the new era of tourism has arrived. Cambodia is a country willing to forget its past, and eager to enter into a bright and promising future. Despite having many economic and social challenges, Cambodians are striving towards a better future and as a volunteer in Cambodia, you can join these lovely Cambodian people in this journey of hope. Cambodia is a good place for those who want to do something good in life. The volunteering experience in Cambodia will teach you how to be kind how to be more patient. While enjoying the natural vista and cultural vividness depicted in temples and the structures, you will also explore a clear path to humanitarian works. You will be gathered with many other enthusiasts from around the world to share passion and dreams. And you will experience some character defining moments while volunteering in Cambodia. There are multitudes of opportunities in Cambodia, as a volunteer, you will join hand with the community of people working to alleviate poverty and inequality; you will enjoy an amazing atmosphere surrounded by soft people. Here are some of the available opportunities to volunteer in Cambodia. English is an important language for the Cambodian kids. English language plays vital role in their future growth in the academic and professional arena. As a volunteer teacher you will be involved in everything about teaching, lesson planning, looking after the curriculum. You will assist the teachers with Basic English to more advance classes. It is an opportunity to learn as much as you teach the kids. There is perpetual inequality and poverty in different places of Cambodia. There is a disparity between rural and urban regions. Children are affected the most by this disparity and poverty. Many children are living marginal life conditions as they have become homeless and parentless. Volunteering in orphanage work in Cambodia is an opportunity to repair those damages in the lives of these disadvantaged kids. If you wish to lead your mission of serving the humanity and head out into the world, if you want to stay connected with the likeminded people, volunteering in Community Development Project in Cambodia can be the doorway for your action to serve others. Health indicator of Cambodia shows that people are still suffering with maternal and child mortality. Due to lack of medical service people of some region are suffering with various communicable and non communicable diseases. If you are medical professional or medical students, you can contribute your skills, ideas and knowledge in healthcare services of Cambodia. Thailand is a vibrant country with breathtaking landscapes, beautiful beaches, pristine islands and culturally rich cities full of temples. Volunteering in Thailand is an opportunity to make a meaningful journey into this Asian kaleidoscope of nature and culture. Despite its rapid economic growth in past few years, many areas of Thailand are still lacking that development status as poverty and inequality continue to pose significant challenges. Volunteering in Thailand can be an opportunity to help the Thai people to confront those challenges and eradicate those challenges. As a volunteer for disadvantaged children, you will work in Thai childcare centers to nurture and care the kids and help them for a better future with good health and good education. Globalization is one of the major reasons of recent economic growth in Thailand. To continue this growth it is important for the Thai student to have global education. That’s why being proficient in the global language like English is important for the students of Thailand. As an English teacher you will assist the teachers of Thai schedule in executing the regular English curriculums. Some of you might e future innovator, motivators, leaders and caretakers. If you possess these skills and you wish to hone them further, then volunteering in Community Development project can be the one, in which, you can harness your creativities, ideas and leadership skills. Thailand has a long and successful history of health development, and there are still much to do to improve healthcare services in Thailand. As a volunteer in healthcare service you can share your medical skill and knowledge to make things even better. Volunteering in Elephant project in Thailand is a lifetime opportunity to understand and to live with these lovely Asian giants. Volunteer teaching in Buddhist Temple Schools of Thailand is a chance to not only teach the monk kids but also to learn about peace and compassion. As a volunteer, you will take classes in daily basis and you will observe their prayers and attend the meditation. It is a lifetime opportunity to listen to your internal whisper. Do you want to know what the life of an international volunteer looks like? Are you interested in volunteer opportunities overseas? Are you excited with the idea of volunteer programs? We offer the perfect opportunity to explore the nooks and crannies of rural corners of the world and dedicate your time to the well-being of its warm and welcoming inhabitants. Volunteer overseas with volunteer abroad programs in an affordable program fee. Volunteer abroad is a one in a million opportunity to share your knowledge and skills and put it into use in some unknown corners of the world. It is the chance to immerse oneself in a new environment, a new culture, new traditions and new languages. International volunteer programs make you a better person inside out. Volunteer abroad is a chance to be of some use to people living in far corners of the world, and a different way to travel overseas and work abroad. For a small fee, you will get the chance to explore top travel destinations of the world and also do some charity work in volunteer programs overseas. Volunteer abroad activities have emerged as a tick box in a to-do list of young adults who wish to change their world in their own way. Students who have just completed their studies, and want to combine work with the chance to embark on travel and tours, are the major candidates for people who volunteer abroad. Volunteer programs are also undertaken by people, tired with their jobs and daily routine and those who seek to collaborate with volunteer organizations to make a positive impact on the world. Why do people volunteer abroad? The benefits of volunteering are many. But the most important benefit certainly has to be the obtainment of inner peace. Yoy get the chance to work abroad, travel overseas, visit top travel destinations, explore new cultures and help people. Compare normal travel reviews and volunteer abroad reviews. You will get a clear picture of the difference between a simple travel and volunteer abroad. Volunteer work overseas offers affordable volunteering; a chance to travel and pay for your traveling expenses with your skills, knowledge, and hard work. What benefits does overseas volunteering have over local volunteering? Benefits of volunteering are varied and many. However, volunteer abroad is certainly more beneficial to the volunteer, than local volunteering its. When you travel abroad and become an international volunteer, you get to meet new people, explore their culture and traditions. You are instantly transported to a new world, a world you have never seen before. You get to travel overseas and carry out the act of helping people you have never met before. This is surely a completely selfless act which puts you at peace. Explore a new world, help people, learn new things and return home completely at peace with yourself. Overseas volunteering offers all of this at affordable prices. What Volunteer Abroad opportunities are available? If you are into kids, childcare/orphanage volunteering is the best volunteering program for you. Help orphans, abandoned children, sexually abused children and conflict victims in around the world, and make a positive impact in the future they hold. If teaching has been your passion, teach those people who have no access to education. Most teaching volunteering programs include teaching the English language. Developing countries will cross its economic and development barriers only if its people are educated. You will play a major role in making sure that the future of these countries' economy is saved. 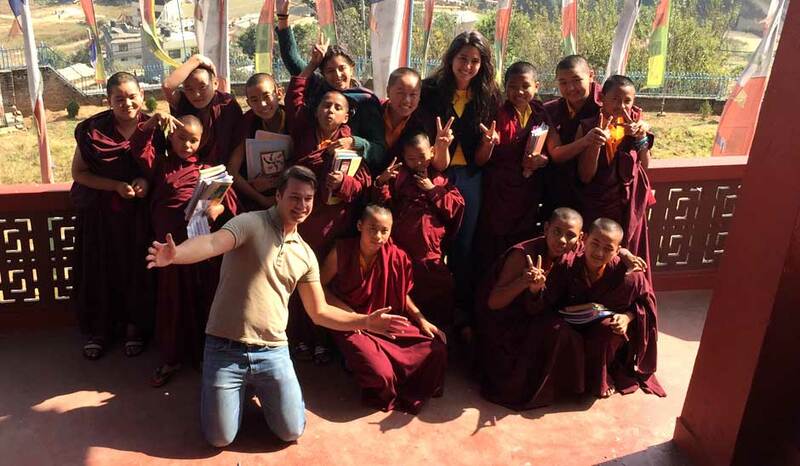 Volunteer abroad in Buddhist monasteries and experience Buddhist culture and philosophy. Teach English to the monks, become immersed in Buddhism, and you are surely set to feel inner peace after the completion of your volunteer program. Volunteer in the sheer amazing presence of elephants, tigers, leopards, and the humungous number of birds that call the world their home. Work in wildlife conservation programs, and make the world a better place to live for them too. Work towards the conservation of rare plant species, plant trees, watch them grow and reduce pollution from your side by taking part in environment conservation volunteering programs in the corners of the world. You will be playing an integral role in fighting climate change. The world is in dire need of medical help. Remote areas are devoid of the basic healthcare need. If you are a medical practitioner, you can easily find medical internships in international volunteer programs. Visit remote locations and take care of the medical needs of people living there. Dental hygiene and dental care are aspects that are lacking even in some urban cities of the world. You can take a part in changing that by offering preventative dental care, dental health education, health screenings, extractions and treatments to make the smiles of people living in these developing countries even more everlasting. What can you do to explore something out of the ordinary? For those who are not interested in the volunteering activities mentioned above, you can choose to do it your own way. Live with local people, Help put in their daily lives and explore the lifestyle of living of these people living in remote regions. You are surely set to be humbled by their kindness and graciousness. You can also explore top travel destinations of the world with travel and tours and carry out charity work abroad by helping people in the destinations financially or with your skill set. The area of your interest, the educational status you possess and the financial status you have does not affect the volunteering activity you undertake. Volunteering is a perfect way to explore the world and help the people of the world with the smallest of things. You only need the determination in the inherent interest to volunteer abroad and make the world a better place for everyone to live in.